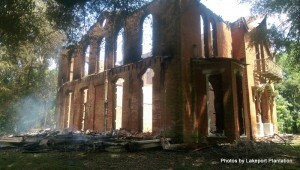 Mount Holly burned early in the morning on June 17, 2015. 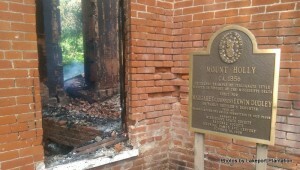 Mount Holly was constructed ca. 1856 for Margaret (Johnson) Erwin Dudley after purchasing the land from her father in 1855. The grand Italianate home was most likely built based on plans by Calvert Vaux first published in Harper’s in November 1855 and later in Vaux’s Villas and Cottages (1857). 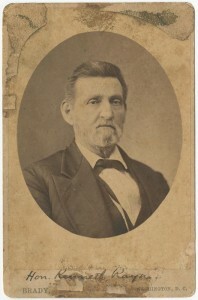 In the 1880s, William Hezekiah Foote became Mount Holly’s owner. His great-grandson, Shelby Foote, used Mount Holly as the setting for his first novel, Tournament, published in 1949. Foote told the Clarion-Ledger in 1973 “the house was erected by a transient architect in 1855, working from plans carried with him and with the assistance of one man who accompanied him and a construction crew of slaves from the Mount Holly plantation.” Mount Holly was similar to two other Italianate Mississippi houses, Aldemar, built for Victor Flournoy ca. 1859 on Lake Washington; and Ammadelle, built 1859, in Oxford. Ammadelle still stands. At Lakeport, despite the differences in architectural styles, we often tell guests about how Lycurgus’s cousin’s house influenced Lakeport’s design–layout of the parlors and entryway, main staircase in a cross hall, the peculiar arch upstairs probably influenced by Mount Holly, attached kitchen, cast-iron stove set in brick, servants bells, brick walkway……. Bagley, Clinton. “Mount Holly,” National Register Nomination Form, August 1973. Erwin House [Mount Holly], Historic American Building Survey, Library of Congress, 1936. Many masters along the Mississippi River did not reside on their plantations. Instead they relied on overseers to run the day-to-day operations. 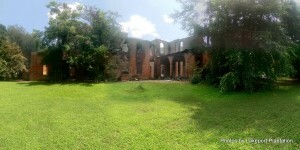 The absence of a white family in the “big house” could make the plantation a much different place than one with an owner-resident. Dr. Kelly Houston Jones will discuss her work on R.C. Ballard and other area plantation owners who resided away from their holdings, and what those arrangements would have meant for enslaved people living on those plantations.